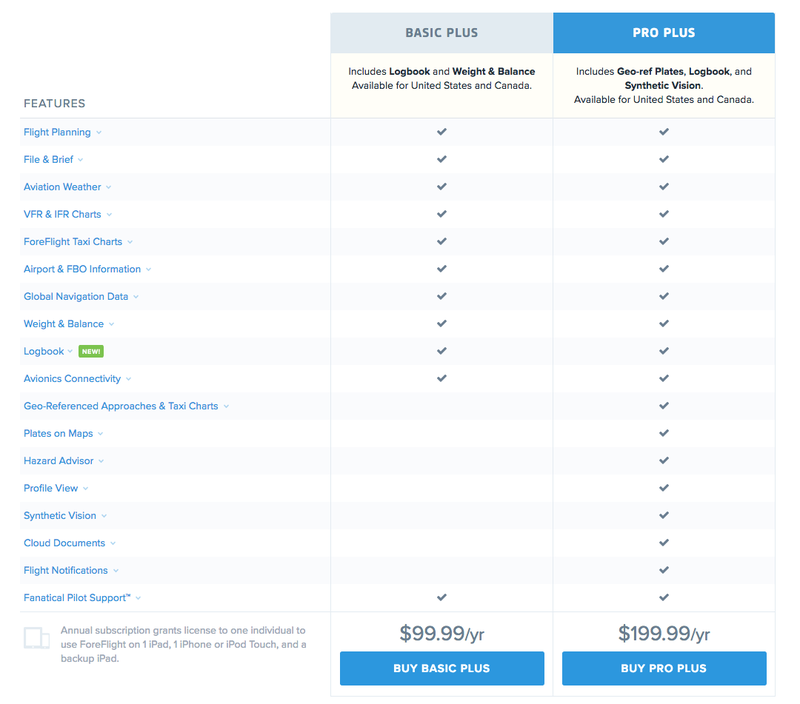 Have you been considering upgrading to ForeFlight’s Pro Plus subscription plan? Whether you’re currently on the Basic Plus plan, or the older Basic or Pro plans, Pro Plus can make your flight planning, flying, and logging easier and more efficient. To help you determine if the upgrade is right for you, here’s a guide that lays out all the additional features you’ll get with the Pro Plus plan. If you’re already subscribed to a different plan, we’ll automatically pro-rate the upgrade based on your remaining subscription time. 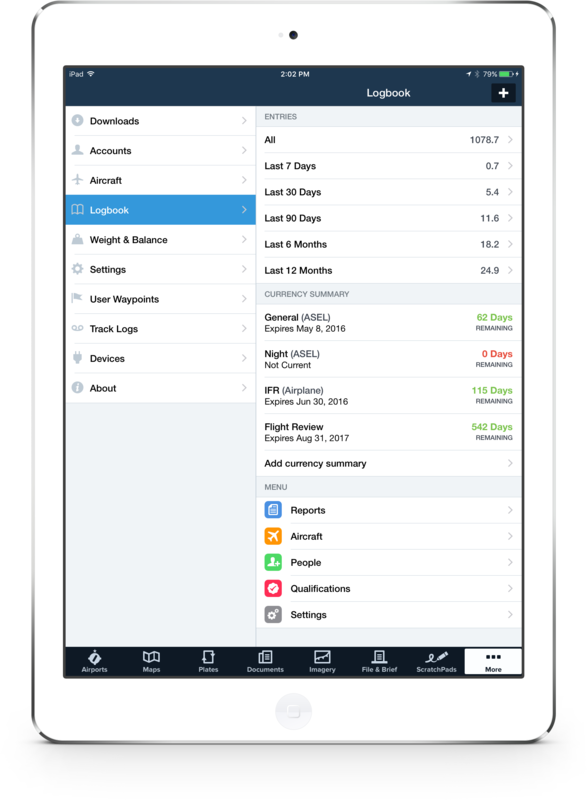 Simply log in to your account manage page at ForeFlight Web and click “Upgrade or Renew My Subscription”, or visit our buy page, enter the email address associated with your account, and select ForeFlight Pro Plus and a geo-region. ForeFlight Logbook is a fully integrated electronic pilot logbook with automatic draft entries from Track Logs, unlimited photo attachments, currency summaries, and experience and FAA 8710 report exports, plus many other features. Logbook is also included with the Basic Plus plan. Geo-referenced approach plates and airport diagrams for the US and Canada. 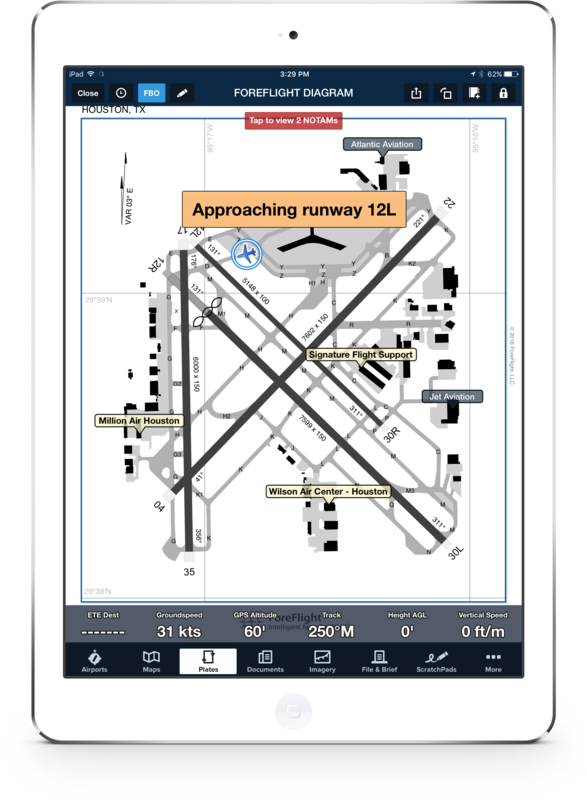 For greater situational awareness, see your aircraft position overlaid on approach plates and airport diagrams, along with Runway Proximity Advisory to help you avoid runway incursions with visual and audio alerts. Plates on Maps takes geo-referenced charts to the next level and allows you to view approach plates overlaid onto the maps view, along with hazards and weather in one seamless view. 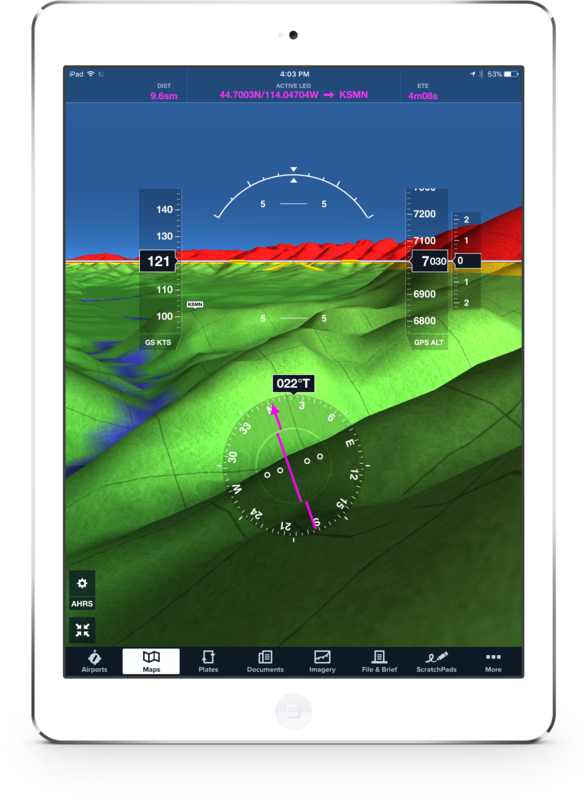 Hazard Advisor keeps you aware of potentially dangerous terrain and obstacles by dynamically highlighting terrain red or yellow based on height relative to your aircraft’s position. Profile view is a side view of terrain and obstacles along your planned route. Dynamic color alerting shows you at a glance whether your selected altitude will keep you clear of terrain and obstacle hazards. In flight, Profile shows your current altitude in relation to obstacles or terrain ahead of your track. 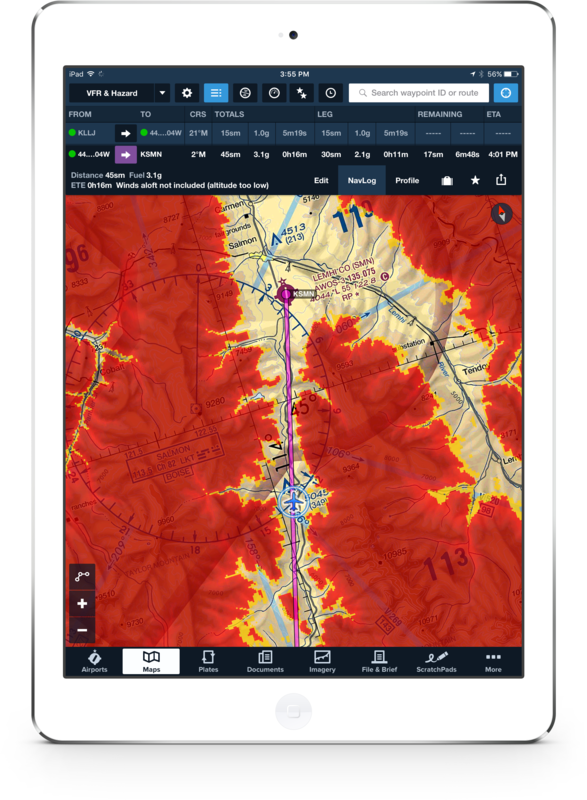 Synthetic Vision is a visually stunning and high-performance hazard awareness capability for the iPad, displaying a three dimensional VFR view of terrain, obstacles, and runways along your flight path. When paired with Stratus 2S or other AHRS source, Synthetic Vision becomes an affordable backup attitude indicator complete with super-responsive pitch and bank information. Flight Notifications send you real-time push and email notifications when expected route information is released from ATC. 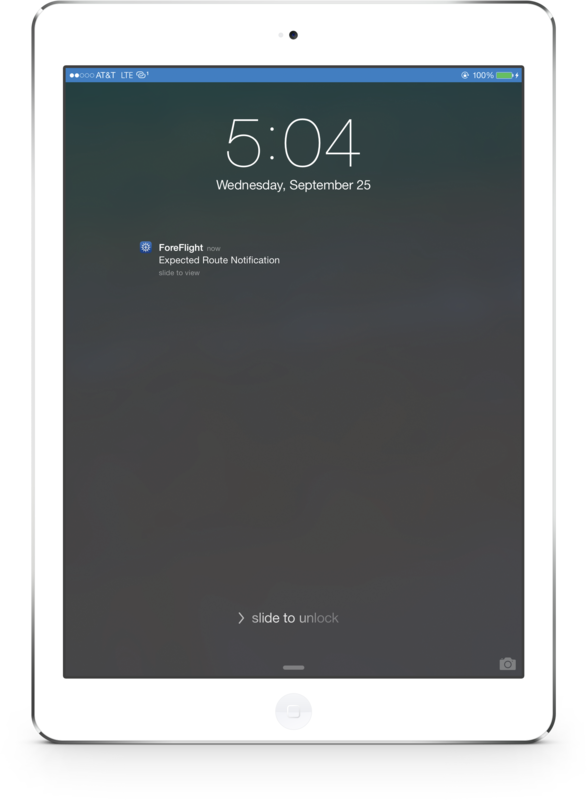 Flight Notifications also delivers any new or modified condition information to all of your synced devices as it occurs, including updates to: TFRs, airport/runway closed/unsafe NOTAMs, urgent PIREPs, SIGMETs, Convective SIGMETs, AIRMETs, Center Weather Advisories (CWAs), and Severe Weather Watches/Warnings. 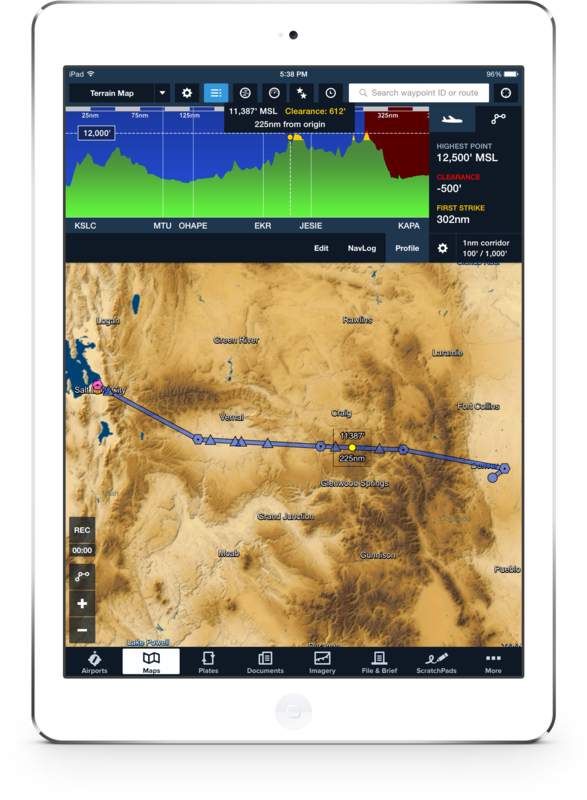 Cloud Documents is the simple, speedy way to store documents in the ForeFlight Cloud, access them in ForeFlight on your iPad, and keep them in sync across devices. ForeFlight Cloud Documents lets you securely publish and update documents from your computer with a simple drag-and-drop interface using any one of three supported cloud services: Box, Amazon S3, or Dropbox. 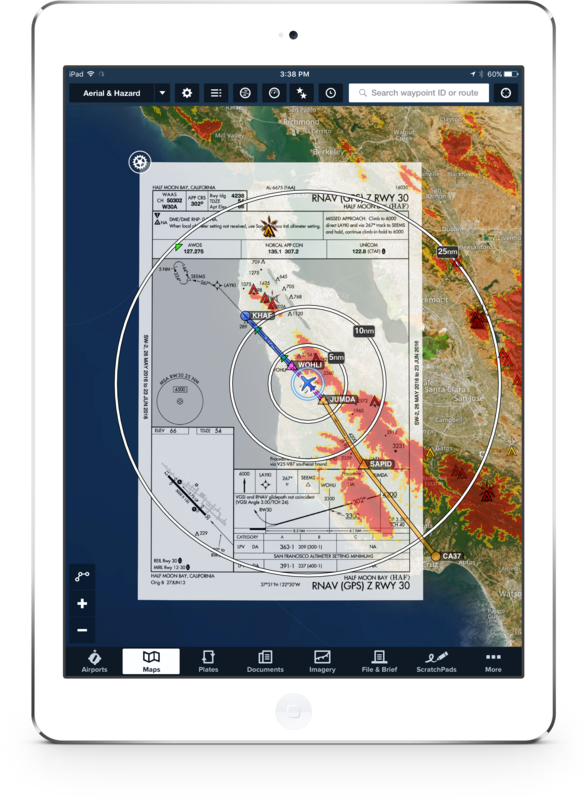 Click here to purchase ForeFlight Pro Plus today!